Today, you don’t have to be an experienced marketer to understand that it is reputation that drives success. However, did you know there are 28.8 million small businesses just in the United States? Given this astounding digit, it’s obvious that building a recognizable brand is an essential part of any small business marketing strategy. This is not an easy task. On the other hand, if you think that your growing company can’t stand a chance in such a hectic ecosystem, you are wrong. For decades, numerous marketing techniques have been created and modified to provide businesses with limitless opportunities to address the right audience, establish new customer relationships and increase revenue. Here are five things to consider when generating ideas for your new small business marketing strategy. When starting a marketing campaign, you need to know who your target audience is. For example, one of the most concerning issues marketers face when targeting an audience is the generational gap. Put simply, different generations have distinct preferences. In order to persuade them to buy your products, you need to provide information relevant to them, through the communication channels they appreciate the most. When creating a marketing campaign, take into account how each generation communicates. Elements of a small business marketing strategy targeting tech savvy Millennials requires a robust social media presence, video content, as well as fast-working, mobile-optimized websites. On the other hand, research proves that face-to-face marketing and telemarketing are highly effective when it comes to addressing Baby Boomers and Generation X. According to a 2017 survey on branding, it takes consumers only 10 seconds to form a first impression of a brand’s logo. Once you have determined who your target demographic is, it’s time for you to come up with the details. Elements of a brand identity for a small business, or any business, will include the name, logo, slogan and colors, which will give your company a unique tone. Always keep in mind that every decision you make will influence the way customers perceive your brand. For instance, when choosing the company name, you need to go with the one that is relevant, clear, and easy to remember. The same goes for every element of this creative process. Each element of your brand identity influences how customers perceive your brand. Studies show that, in today’s world of hyperconnectivity, 81% of shoppers search online before making a purchase. Therefore, your online presence is both your first and last line of defense. Logically, investing in a killer website is a fundamental aspect of your digital marketing campaign. When optimizing your website pages, keep in mind that fast, user-friendly and mobile-optimized websites with simple domain names play a crucial role when it comes to customer conversion. Is your website mobile friendly? 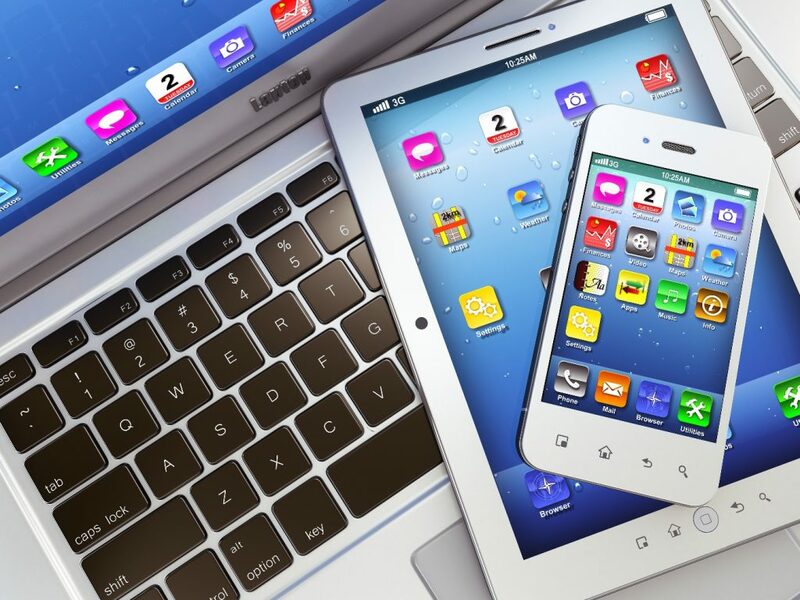 Check your pages and navigation on phones and tablets often. Since its rapid rise several years ago, content marketing has become the backbone of every successful digital marketing campaign. In this case, content includes more than the information included on your website. In this digital era, content includes your company blog, social media posts, and comments on websites. In addition to the good old written word, it is also based on graphics, videos and quizzes that get your readers to actively participate in the content. This content is in addition to the offline marketing materials companies once considered standard, such as brochures, business cards and print advertisements. When it comes using content as a marketing tool, you first need to understand that inbound marketing is not competition. It is about the punctuality, quality and relevance of every single post. #Contentmarketing includes your blog, graphics, videos and social media posts too! The majority of your customers are (at the very least) on Facebook, Twitter, and Instagram. If you aren’t, what are you waiting for? With 2.206 billion active users, social networks have become an integral aspect of every successful small business marketing strategy. Using these networks, marketers precisely determine who their consumers are, build direct relationships with them, and, most importantly, create a substantial online community. The small business environment is constantly growing. Effective marketing strategies change parallel with it, trying to meet its needs. 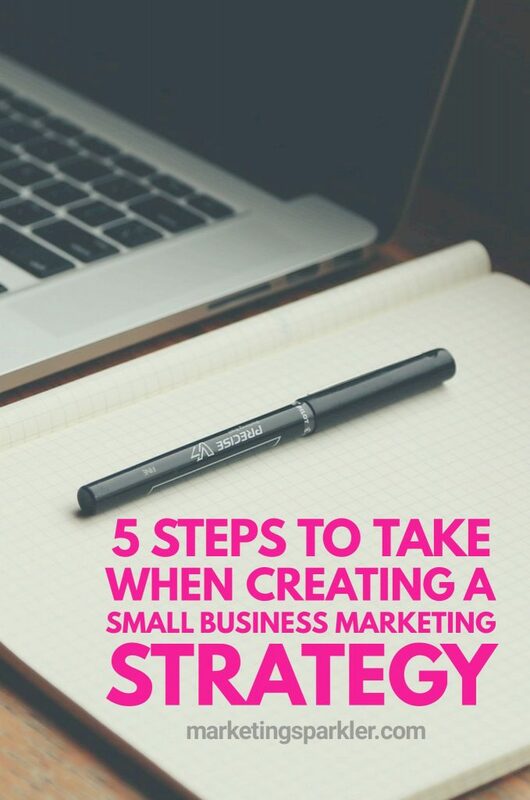 Hopefully, incorporating these 5 steps into your small business marketing strategy will give you a little push in the right direction, and help your company keep up with the latest industry and technological trends. This is a guest post from Alex Williams, a journalism graduate, and a rookie blogger trying to find her luck. She views blogs as the perfect opportunity for presenting yourself to wider audience, getting the chance to showcase her expertise and receiving recognition. 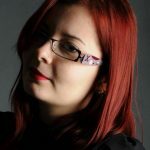 Alex is a regular contributor at Bizzmark Blog. Connect with her on Facebook and Twitter. I really appreciate that you provided with a complete guide, not just random advice! Pinning this post for future reference. Taking into account what’s said above, why is referring only to a SMALL business marketing strategy? I reference small business because that’s the market I talk to on the blog. However, I believe these steps should be taken by any business, no matter the size. Thank you Drew, I’m glad you enjoyed the post! Business people must read this post especially my hood!!! Haha, make sure you share it with them Olivier! Very well said! What struck me most is addressing customers adequately and to have your own personal brand. Even with quality and engaging content, we have to keep up with the latest trends and we should consider age preferences in marketing our businesses. Good read! Thanks for sharing! Thank you Ashley, I’m glad you enjoyed the post! The only thing I would add is that, if you’re looking to engage in content marketing, you should think about voice. By that I mean tone, what you stand for, whether you write in a conversational tone or more formal. Then, once you’ve decided, stick to it. Readers like consistency and you want a regular audience rather than the one hit wonders that come through SEO. Great point James! Your tone is a part of your brand, and it should be consistent throughout your content. Thanks for stopping by!